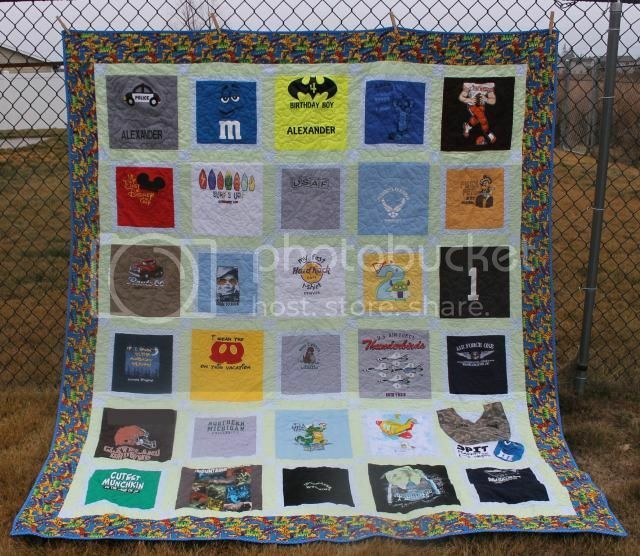 Alexander's T-Shirt Quilt - Finished! One last finish for the year! 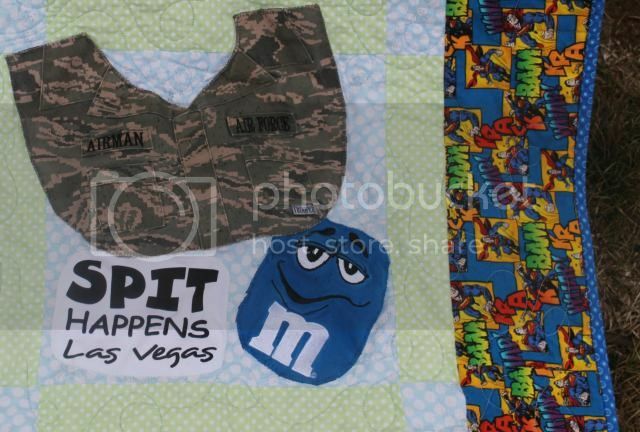 This was a semi-last-minute t-shirt quilt order that I was able to fit in for a local family. It's always nice to do these, because I am beyond terrified every time I mail off a t-shirt quilt. It's not the kind of thing you can replace if the postal service loses it! The blocks are cut at either 12" or 10"-then-framed. Even when using the back of the shirt, I couldn't bump some of them over 10" - but yet, others couldn't be cut down. The size of the shirts made it harder to center designs, but I think it all worked out in the end. A couple of elements I was asked to include - some baby bibs, which I appliqued over a block and into the sashing. The mom asked for subtle sashing in boy colors, so I went with very light blue and green dots. And then Superman borders. 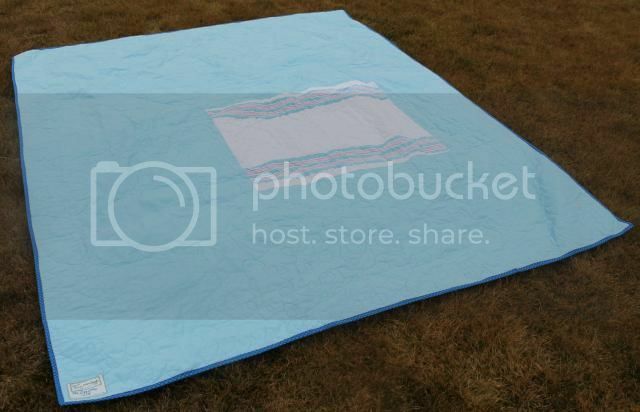 And finally, she asked for a plain blue backing, but also gave me his baby blanket from the hospital. Since the quilt is twin size, I knew I would need more than a double-length of fabric, so I pieced in the blanket and it worked perfectly!